My 93rd game of the season was a working one as The New Saints FC travelled to Maes Tegid to take on Bala Town. 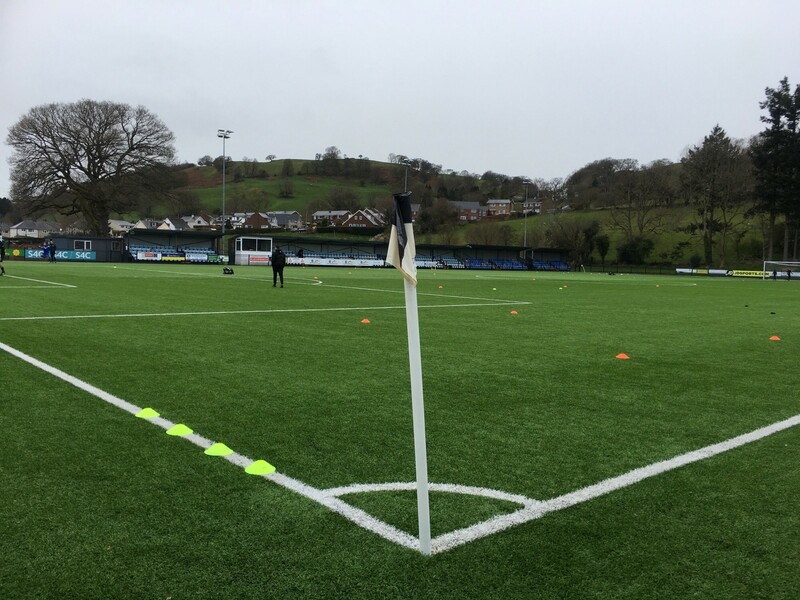 The three points – courtesy of an impressive 7-0 victory – means that we are in the driving seat for an eighth consecutive JD Welsh Premier League title. The video below is behind the scenes footage from a personal view. It also features Joash Nembhard and Billy Whitehouse. Although they were part of the warm-up, as you can see from the video, neither of them featured in the final selection. However, it was TNS Radio’s gain as they both came on air with us. At half-time they had both microphones and that’s an excerpt in the video. For both players it’s their first season at the club. Joash came from non-league football in the south-east of England, while Billy’s route has been via Doncaster Rovers and Leeds United. In fact, I remember him making his Leeds debut in the FA Cup, which was a televised game. Then here we are a few years on and we’re friends. You never know where life takes you. Follow my blog updates via Facebook or Twitter. Visit my football pages.